When I was a young reporter at The Detroit News more than 20 years ago, the best way to rise through the newsroom ranks was to beat everyone else to the big story. The best lone wolves were often the biggest newsroom stars. Large staffs of reporters from competing publications, radio and television stations fought every day for scoops. “Exclusive” stories supposedly translated into more readers and viewers. More readers and viewers supposedly meant more glory and prosperity for your newsroom. Times have changed. Today, our vision at Bridge Magazine is to be inclusive rather than exclusive. We collaborate far more often than we compete. Because collaboration better serves journalism – and, more importantly, readers – in today’s troubled media industry. In that spirit, we are thrilled to announce a new joint venture with Crain’s Detroit Business. Beginning in May, readers of both publications will see shared business coverage from Lansing in both Bridge and Crain’s. We’ve hired former Lansing State Journal business reporter Lindsay VanHulle to cover the intersection of business, politics and policy. With Bridge’s coverage of education and other policy issues well established, we saw in-depth business coverage as a next growth frontier. By sharing resources, Bridge and Crain’s can reach each other’s audiences and leverage each other’s strengths. Crain’s deeply experienced business editors will manage and edit much of Lindsay VanHulle’s reporting. Bridge’s veteran special projects journalists will contribute story idea generation, planning, and logistics. It’s collaboration rather than competition. That’s how Bridge and the Center for Michigan have operated from the start. We will continue to syndicate all other Bridge content through MLive Media Group. Since the beginning of 2012, the MLive-Bridge partnership has strengthened both publications and served readers better than competition could. By syndicating through MLive, Bridge gains access to the state’s largest online news and information audience. By working with Bridge, MLive deepens its offerings of in-depth news and analysis. MLive was the first traditional media partner to believe in the potential of Bridge. We deeply value and will continually strive to grow the relationship. And Bridge will continue to lead the Detroit Journalism Cooperative, a unique collaboration of five nonprofit journalism outlets supported by the John S. And James L. Knight Foundation and the Ford Foundation through Renaissance Journalism. Together, Bridge, WDET radio, Michigan Radio, Detroit Public Television and New Michigan Media offer in-depth, multi-platform coverage of Detroit’s emergence from bankruptcy and the experiences of the city’s residents and businesses. In our first year (2014), DJC content earned more than 175,000 readers and many thousand more viewers and listeners. Detroit is a distinctly American story. By joining forces, the DJC partners can tell that story better. Through the DJC, a written story quickly becomes a radio interview. A radio story also finds a print audience. Street reporting deepens the context of radio and television issues programs. And a single report can reach up to five unique audiences of news consumers. What changed? What happened to the old days of cutthroat newsroom competition? The Internet drastically changed the journalism business. The Great Recession drastically changed the journalism business. The competitive instinct still exists in the minds of some dyed-in-the-wool newsroom editors and reporters. But I’d argue that newsroom competition is mostly an academic concept at this point. Michigan has 36 percent fewer news reporters than it had in 1997, according to federal jobs statistics. Journalists working in traditional newsrooms today are working extremely hard. The greatly reduced newsroom staffs combined with the constant pressure of the 24-hour-social-media-driven news cycle result in intense coverage of what happens, when, and where. But depth and meaning – the coverage of the how and the why of the news – are threatened. Reporters from different outlets still compete on daily breaking news stories. (In fact, I’d argue they sometimes compete too much – pack journalism isn’t as voracious as it used to be, but you still see a lot of basic breaking news events create a media swarm when pooled coverage would be far more efficient.) Meantime, many in-depth stories and issues die on the vine - uncovered. That’s why we launched Bridge – there was no need for it 20 years ago. That’s why we’re teaming with so many well-established media partners – because in today’s media climate we can have more impact for readers and Michigan together than we can separately. We are absolutely thrilled to have the trust of Crain’s Detroit Business in this new joint venture. We’re equally thrilled to continue our partnerships with MLive and the Detroit Journalism Cooperative. And we’re deeply grateful to have the support of foundations, corporate philanthropy and individual donors who make it all possible. Together, we can assure that great journalism thrives, fewer stories die on the vine, and Michigan news readers and leaders are well-informed. 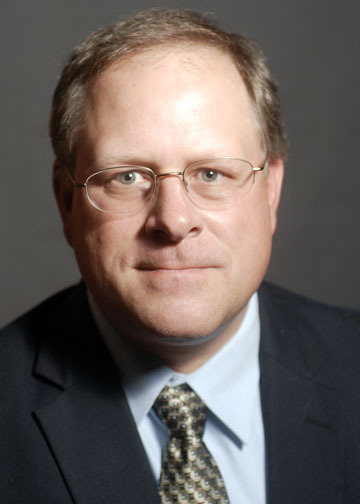 John Bebow is president and CEO of the Center for Michigan and Bridge Magazine. He joined the Center as its first employee in 2006 after a 16-year career as a journalist at the Chicago Tribune, Detroit News, Detroit Free Press, MLive, the Ann Arbor News, and the Traverse City Record-Eagle. He holds a MBA with distinction from the University of Michigan Ross School of Business and serves on the board of the Michigan Press Association. Mr. Bebow - Just when will you find the time to fit in some trout fishing? We are hiding his fishing equipment. After all the journalistic disinvestment in covering the state capitol, it is good to see this collaboration.